The most influential philosopher in the analytic tradition of his time, Willard Van Orman Quine (1908-2000) changed the way we think about language and its relation to the world. His rejection of the analytic/synthetic distinction, his scepticism about modal logic and essentialism, his celebrated theme of the indeterminacy of translation, and his advocacy of naturalism have challenged key assumptions of the prevailing orthodoxy and helped shape the development of much of recent philosophy. This introduction to Quine's philosophical ideas provides philosophers, students and generalists with an authoritative analysis of his lasting contributions to philosophy. 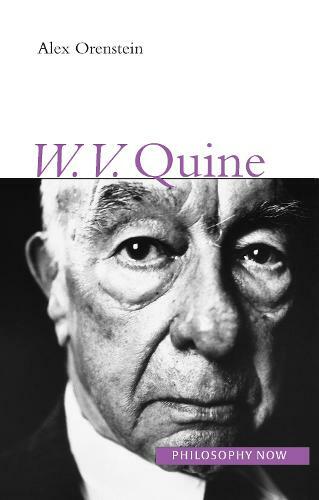 Quine's ideas throughout are contrasted with more traditional views, as well as with contemporaries such as Frege, Russell, Carnap, Davidson, Field, Kripke and Chomsky, enabling the reader to grasp a clear sense of the place of Quine's views in twentieth-century philosophy and the important criticisms of them.